People who regularly eat organic food are much less likely to get cancer than those who don’t, a major new study found. Scientists in France recruited nearly 70,000 volunteers—most of them women, with an average age of 44—and asked how often they ate organic fruit, vegetables, meat, dairy, and other products. Participants were tracked for an average of four and a half years, reports the Los Angeles Times, during which time 1,340 of them developed cancer. Researchers found that the quarter of participants who ate the most organic foods were 25 percent less likely to get cancer than the quarter who ate the least—even after taking into account age, income, and other risk factors. 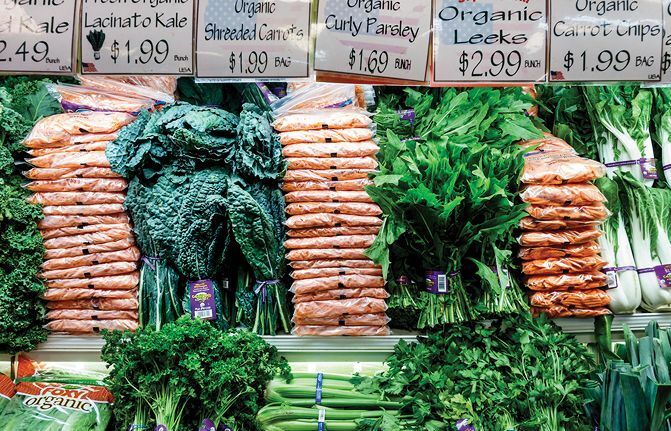 The most frequent organic consumers had 76 percent fewer lymphomas, 86 percent fewer non-Hodgkin’s lymphomas, and a 34 percent lower incidence of postmenopausal breast cancers. Lead author Julia Baudry says the lower level of pesticides in organic food is the most likely explanation for the disparity. Pesticides can mimic hormones in the body and elevate cancer risk. Jorge Chavarro, a Harvard nutritionist who was not involved in the research, says the findings are “incredibly important.” But he says it’s possible the higher cancer rate in people who don’t eat organic food could be caused by other bad health habits, such as not eating much produce. “The relationship between organic food consumption and cancer risk is still unclear,” he said.